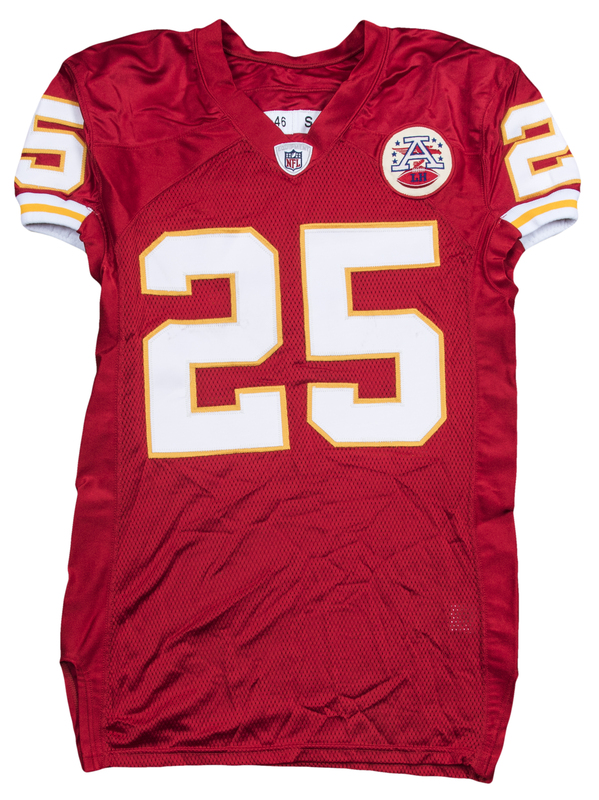 Kansas City Chiefs All-Pro tailback Jamaal Charles wore this red Chiefs home jersey during the 2010 NFL season. 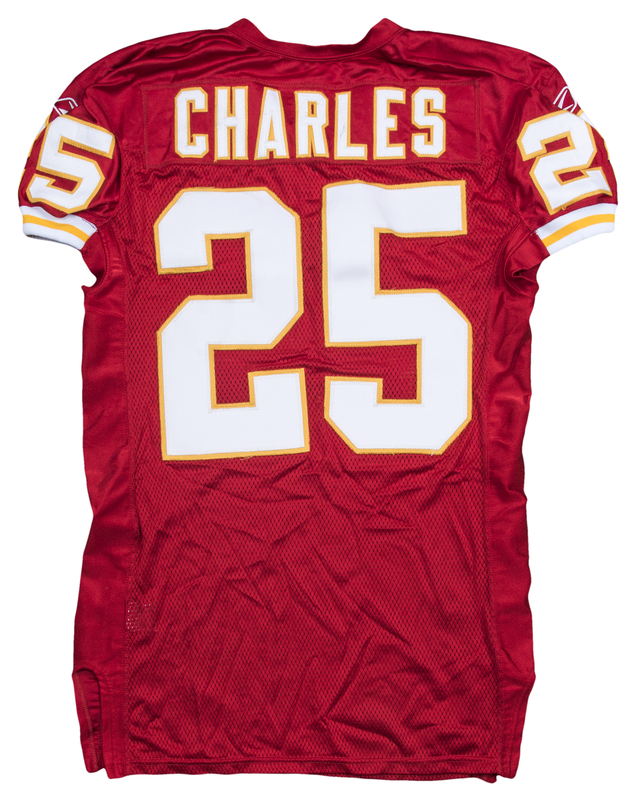 Charles was one of the most dynamic offensive performers in the league in 2010, rushing 230 times for a staggering 1,467 yards while catching 45 passes for an additional 468 yards. 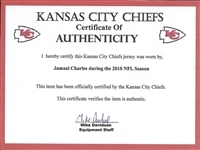 The explosive Charles averaged an obscene 7.0 yards per touch for the AFC West champion Chiefs, with a spot on the All-Pro team awaiting Charles at the end of the campaign. This offered red Chiefs home jersey has Charles’ number “25” sewn on the chest, back, and shoulders in yellow and white tackle twill. 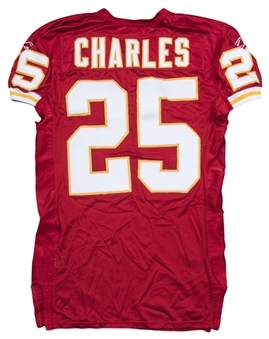 “CHARLES” is sewn across the back shoulders in white and yellow tackle twill over a matching red nameplate. 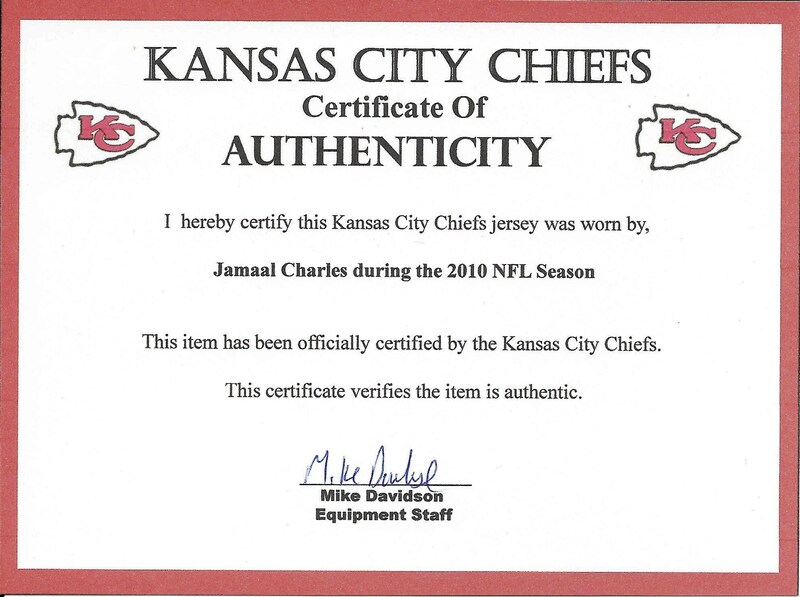 A memorial patch for Chiefs owner Lamar Hunt is sewn on the chest while a “10-46 S” swatch is sewn on the back inside collar. 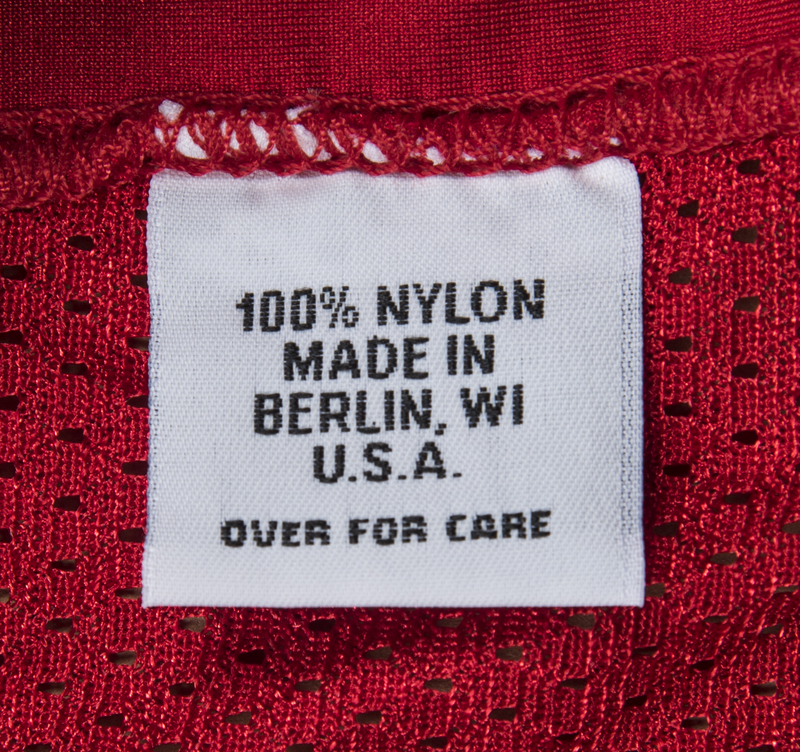 Reebok logo patches are sewn on each sleeve. 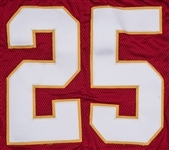 This jersey displays light use with slight puckering on the numbers and name on back. 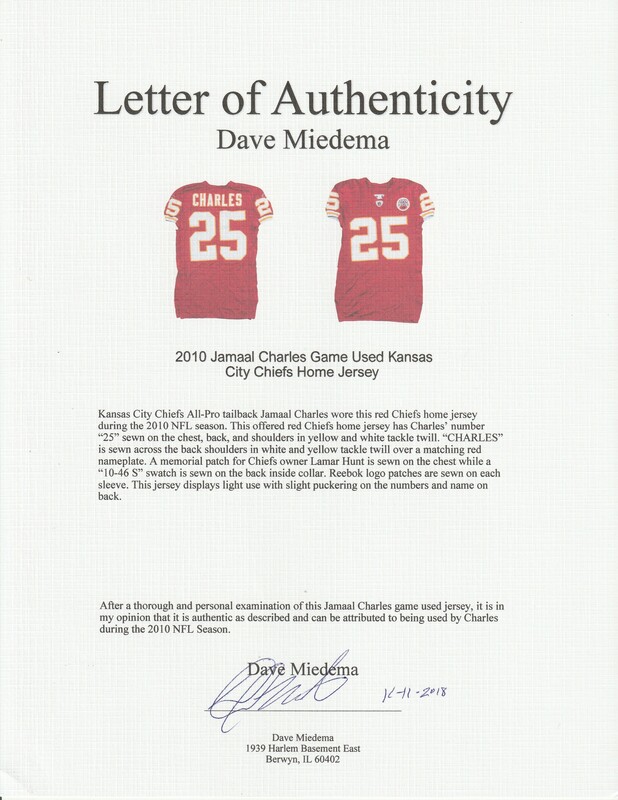 This comes with a COA from the Kansas City Chiefs and a LOA from noted game used jersey expert Dave Miedema.